One of MLB’s free agents could soon be off the market. 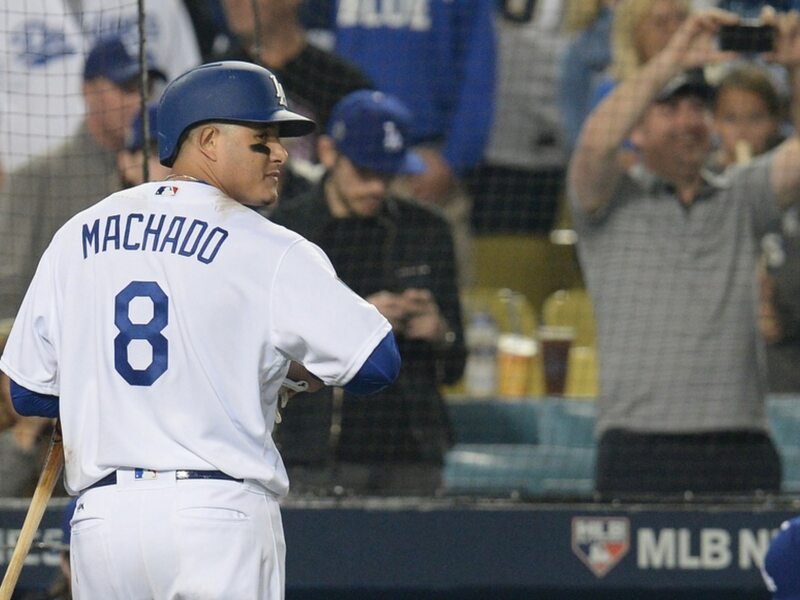 According to one person, the Chicago White Sox are close to signing Manny Machado. It started with Steve Paradzinski of TheLoopSports.com, who wrote that it was time for the White Sox to “finish the job” and sign Machado. Shortly thereafter, Hector Gomez, an editor at Z101, the largest station in the Dominican Republic, responded. Gomez noted that his source has said that Machado will soon sign with Chicago. The White Sox have been one of the teams tied to Machado through the offseason. Though, much like fellow superstar Bryce Harper, nothing has actually happened. Obviously, if this is accurate, it’s huge. First of all, it could trigger further moves in what’s generally been a slow offseason. But even if that doesn’t happen, Machado alone is quite the needle mover. Machado is one of baseball’s best players. In 2018, he hit .297/.367/.538 and 37 home runs for the Baltimore Orioles and Los Angeles Dodgers. In the past, he’s played third base about as well as the position has ever been played. He also has extensive experience at shortstop. While he’s not as good there as he is at the hot corner, Machado is quite proficient at short. He could easily handle either position for the White Sox.